Foxdale Court has an exciting range of events and offers that take place throughout the year. Pencil these dates into your calendar! A day in the world of Zambian fashion! 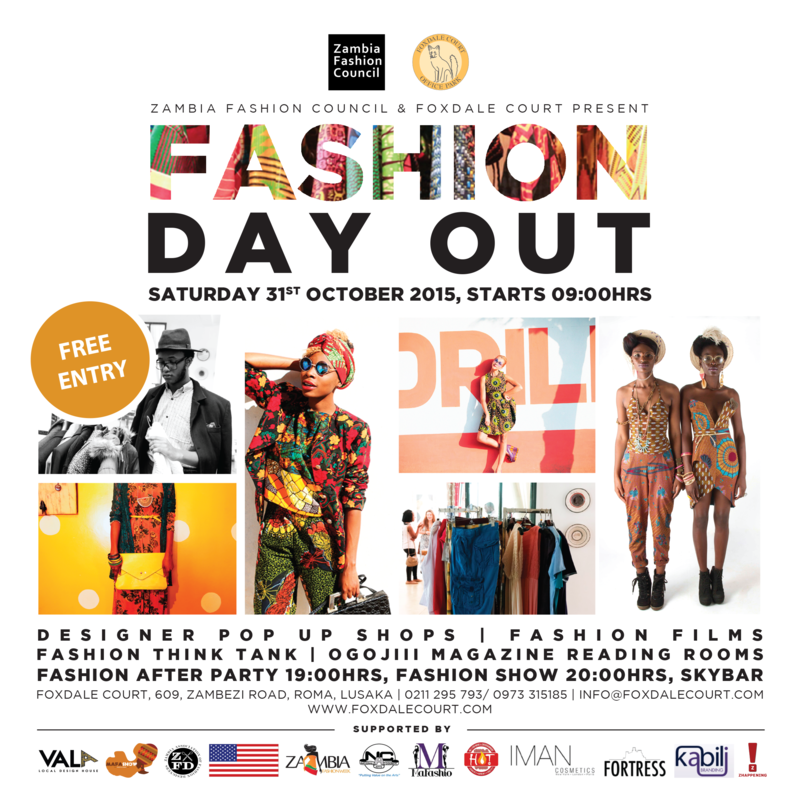 Join us for our first ever Fashion Day Out! Meet some of your favourite designers and network with other fashion lovers through our Designer Pop Up Shops, Fashion Films, Fashion Think Tank, and Ogojii Magazine Reading Rooms. In the evening, head upstairs to the Sky Bar for the Fashion Show and AFTER PARTY! 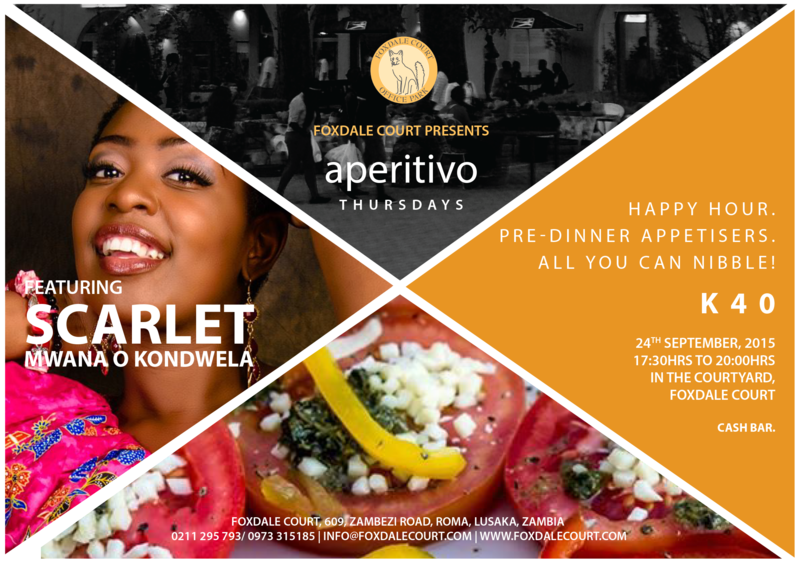 Join us for an evening of great food and Music by the Sensational Scarlet Mwana O Kondwela. K40 grants you access to our all you can nibble buffet. Happy hour on Thursday 27th August in the courtyard!! K25 grants you access to our ALL YOU CAN EAT buffet of snacks. 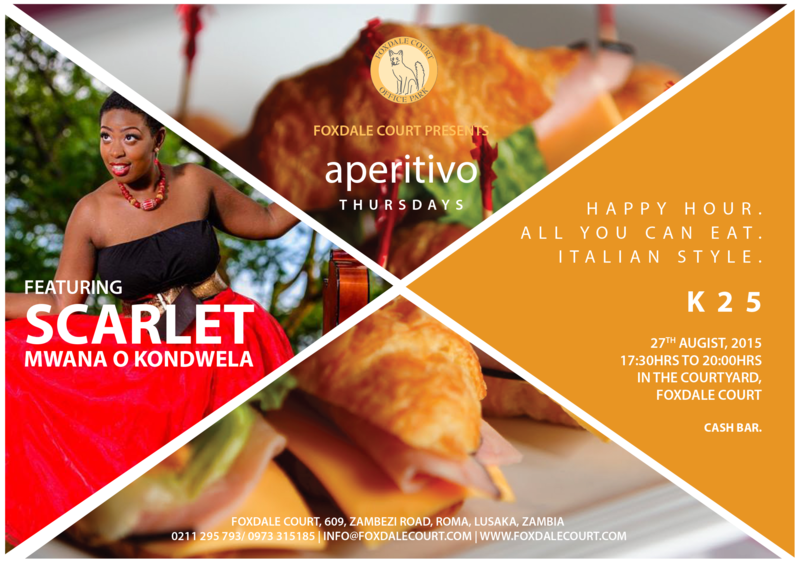 Join us for the Aperitivo Italiano style! 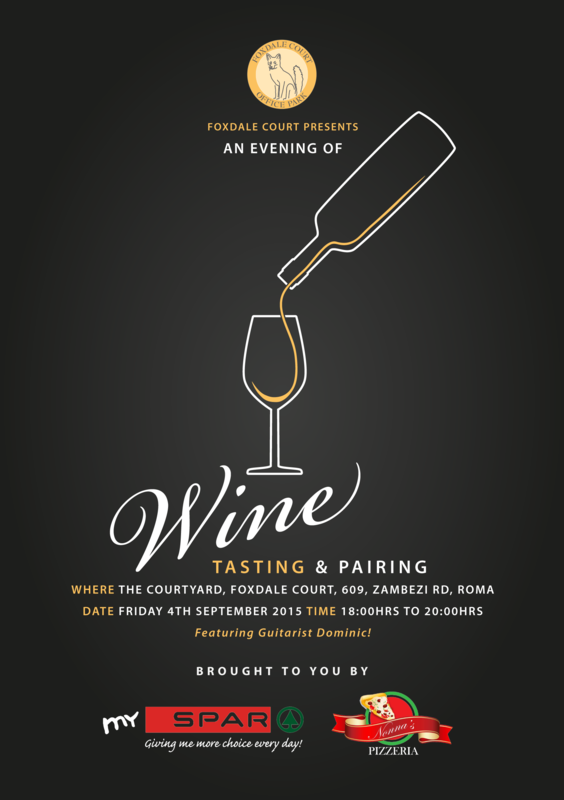 Foxdale Court invites all wine lovers and their pallets to an evening of wine tasting. Relax in a sophisticated and stress free atmosphere as you mingle with fellow connoisseurs.